You’re being pulled over. What are your rights? Do you know Virginia traffic laws? Here’s a quick primer on your rights as a Virginia motorist. Consider checking out our tips for how to handle getting pulled over. Then keep reading for a deeper understanding your driver rights when you’re pulled over in Virginia. Your driver’s rights when pulled over in VA depend on the reason you’re being pulled over. The type of stop – and therefore, your rights during the stop – determines what happens next. Under the Fourth Amendment to the Constitution, we are protected from “unreasonable searches and seizures” of our persons and property. Your car is considered a rolling piece of your personal property. You are entitled to a certain expectation of privacy in your vehicle. However, because your car can roll away, there are exceptions to your Fourth Amendment rights. If you’ve done something that violates a public policy or goes against public safety laws, then you may forfeit your Fourth Amendment protections. If you are subjected to a search or seizure, but have not done either of those two things, the evidence may be inadmissible in court. The operative word here is may. When it comes to the law, the circumstances often determine how things play out in court. 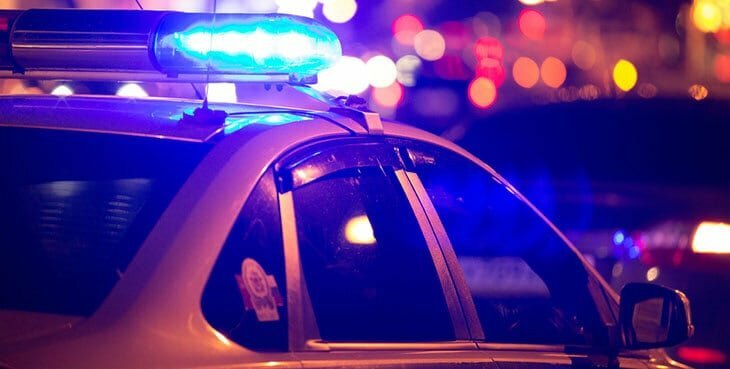 Let’s take a look at a few different ways getting pulled over in Virginia might play out, and how to handle each scenario. You probably committed a moving violation. 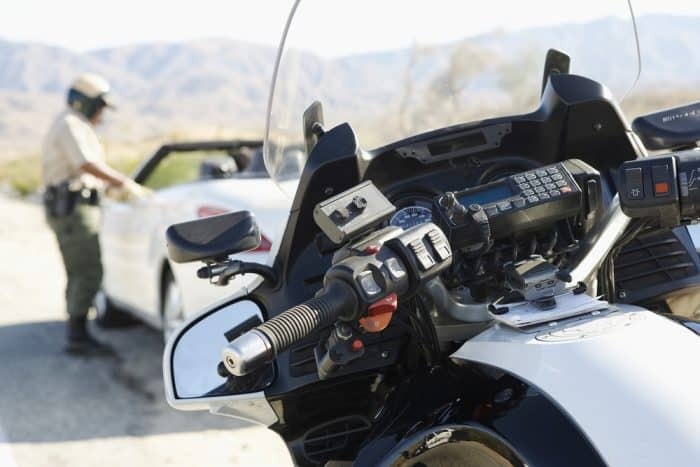 Any minor infraction – speeding, running a red light, texting while your car is moving – is justification for a police officer to pull you over. This is called a “Terry Stop,” and is legal. A Terry stop is a temporary detainment, which is when the officer will determine if you’ve done anything wrong. During a Terry Stop, your rights are slightly diminished. You don’t have to answer any incriminating questions, but a Virginia officer has the right to know who you are, that you own (or have the right to drive) the vehicle, that it’s insured and that you are licensed to drive it. In Virginia, if you don’t have your driver’s license on you, you will be fined $10 unless you present a valid ID to the court before your court date (assuming you have one). If your name comes back with outstanding warrants, or your car comes back stolen, you may be in trouble. Likewise, if the officer smells alcohol or marijuana, or sees other drug paraphernalia in plain view, the stop may escalate to an arrest. Beyond the basic identifying questions, an officer does not have the right to ask you anything else. If you are asked “do you know how fast you were going?” “where are you going?” or “where are you coming from?” you do not have to answer. But you should be polite in declining. An officer can search your car under a few circumstances. If you are asked if the officer may search your car, you do not have to consent. Even if the question is worded in such a way as to make you feel you have no choice, you do. Your car may be searched if the officer has a drug dog who alerts the officer to the presence of illegal substances, or if there is evidence of illegal activity within plain sight in the car. In these cases, the officer now has probable cause to search your vehicle, with or without your consent. Finally, if the officer has reasonable cause to believe you may be concealing a weapon, he may ask you to exit the car and perform a limited frisk. The frisk is for the safety of the officer, and is a limited search to determine if you are carrying a weapon. I… may have committed a crime. If the police have reason to suspect you’ve committed a crime, they can pull you over. You don’t have do something illegal in front of the officer, but the officer does need reasonable suspicion that you have committed (or are committing) a crime. For example, if your car matches the description of one seen at the scene of a bank robbery, you can be pulled over. At this point, you are still involved in a Terry Stop. Once the officer has probable cause to suspect you actually have committed a crime he can place you under arrest. If you’ve been arrested, your Fourth Amendment rights against a warrant-less search are further diminished. You may be asked to get out of the car. If so, the officer may perform a pat-down of your body to establish that you are not armed. The officer has the right to ask you to remove any items from your pockets that may be illegal – whether it is a weapon or not. If you are under arrest, you are obligated to do so. If you are not under arrest, the officer does not have the right to touch you or remove anything from your pocket. Additionally, once you have been arrested, the officer may perform a search of the “passenger compartments” of your car. The search is to determine if there is any evidence which may be destroyed, or any weapon which may threaten the officer’s safety. Locked spaces are off-limits, as are any spaces not within the main cabin of the vehicle (such as the trunk or gas tank). If the officer wants to look in there, they will obtain a warrant. There will be time to get the warrant, since you are in custody and your car isn’t going anywhere. I was ticketed. What can I do about it? First of all, it is always wise to be polite and cooperative with police officers. Know your rights, but don’t be rude about it. Be respectful, but exercise your right to refuse a search of your car or persons if it is appropriate. Judges often ask an officer if the defendant was cooperative – from a speeding ticket to a DUI case. In some cases, if the officer says that a defendant was cooperative, the judge relaxes and the defendant ends up better off. In Virginia, (and in most states) it is illegal to have anything hanging from your rear-view mirror that obstructs your view of the road from any window. Although you probably won’t get pulled over for the air freshener hanging from your rear-view mirror, it can be an invitation for police to pull you over. Once the officer has initiated a Terry Stop, they may use anything they find to build a case. If you’ve been smoking marijuana or have a stolen statue in the backseat of your car, you’re going to find yourself in handcuffs pretty quickly. Getting pulled over happens. We speed when we’re late to work, forget to change our tail lights and even fire off a quick text. And sometimes we get away with it. But knowing – and understanding – your rights makes you a better driver. Following the rules will keep you out of trouble and help make everyone’s life easier.